I remember the first time Shopkins came into our life, Alice had been to play at a friends house and came home full of excitement about Shopkins. Right there a new love arrived in her life. If you haven’t heard of Shopkins before then they are a range of tiny collectibles based on grocery and houeshold items. But they have cute faces and names. Alice’s favourite is the lipstick and cookie one! Alice doesn’t play with a tablet that often, occasionally in the car on long journeys she may play a few games. I’m really conscious that whilst it’s good she doesn’t have screen time, I think about if I’m holding her back not being technology savvy! 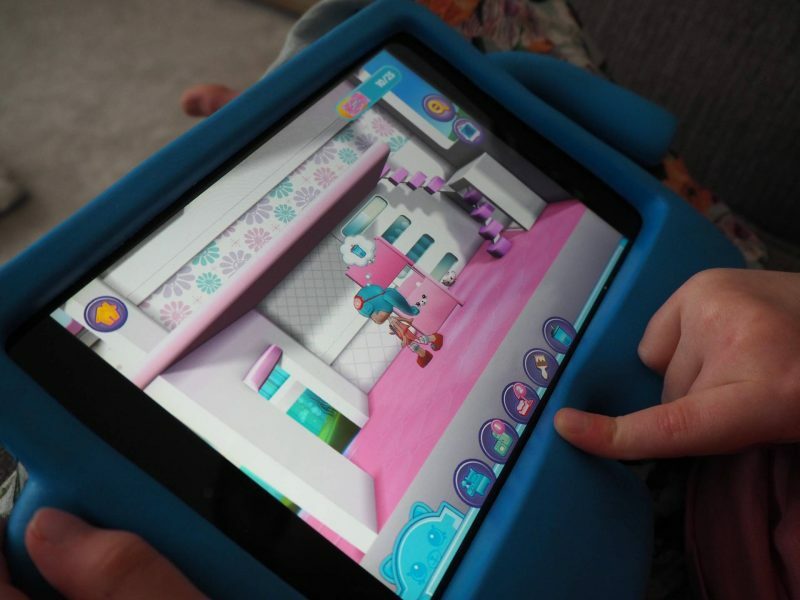 Whilst having this internal debate with myself, we were asked to review the new Shopkins Happy Places App and as I knew Alice would love this. I thought it was also a good chance for me to see how interested Alice was in playing games and should they have a place in her life right now. 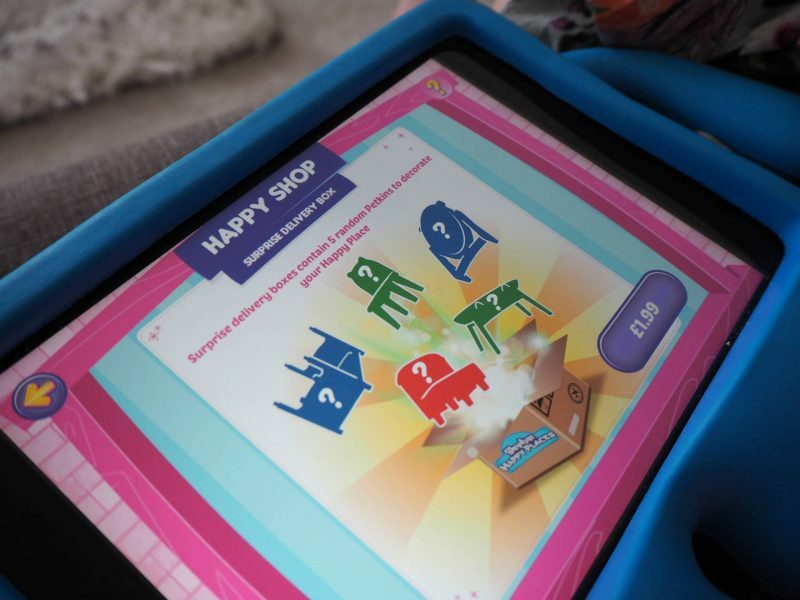 What Is the Shopkins Happy Places App? It is a free IOS app that you can download from the App Store. Yes, that’s right it is free! It all centres around a place called Happyville and you start with a Happy Place House, along with Jessicake who lives there. She is a blue haired Shoppie character which Alice immediately loved. It all starts on moving day as Jessicake arrives in HappyVille. 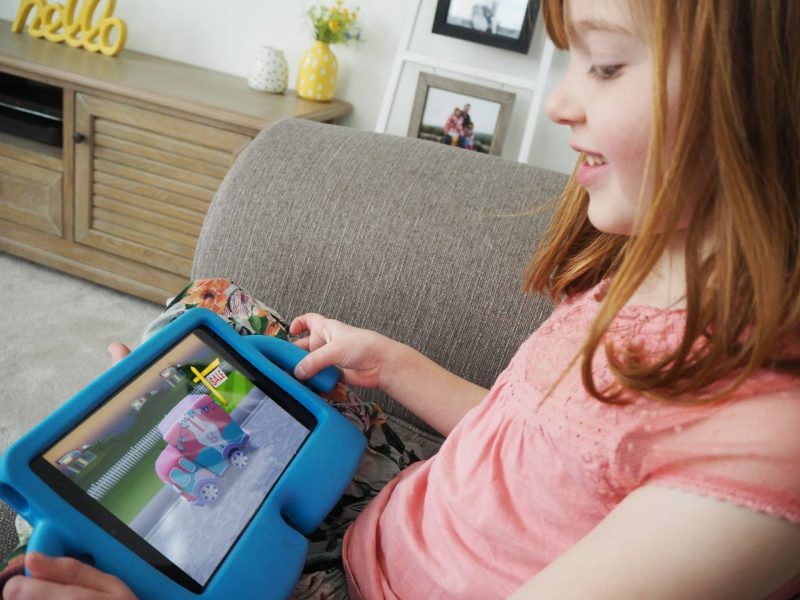 The idea is that you can design the inside of the Happy Place House for Jessicake, by collecting ‘Petkins’ which are cute furniture and household items. You can place them wherever you want around the house. It’s really easy to drag them. There are beds, a kettle, cushions for the sofa and Alice was pleased to see make-up for the table. Whilst doing this they can earn more Petkins, Happy Places and Lil’ Shoppies characters, like Poppette, Coco Cookie and Bubbleisha. Alice is desperate to get Coco Cookie. Their Lil Shoppie lets you know what she is thinking by a think bubble appearing above her head and you have to move the Petkins around to make them happy. When you’ve done this 25 times you’ll get a parcel delivery containing three new Petkins. There are also more complex ‘House Goals’ which is when you have to do a sequence of actions in order to receive a reward. Whist the App is free to download you can make in-app purchases which costs £1.99. This is to get new collectible items and a mystery box gives you five items. Unlike the in-game parcels, you don’t get any duplicates so this is a chance to get new and exciting items for your Happy Place House. Don’t panic the purchases have to be authorised by an adult. We purchased some in-app content and it did make the game more exciting. What I really liked was the parental controls it came with. You can set a limit on how long they can play the game for, with 10, 20, 30 minutes or unlimited options available. And something that you will all be pleased to hear, you can set the volume control for the music! 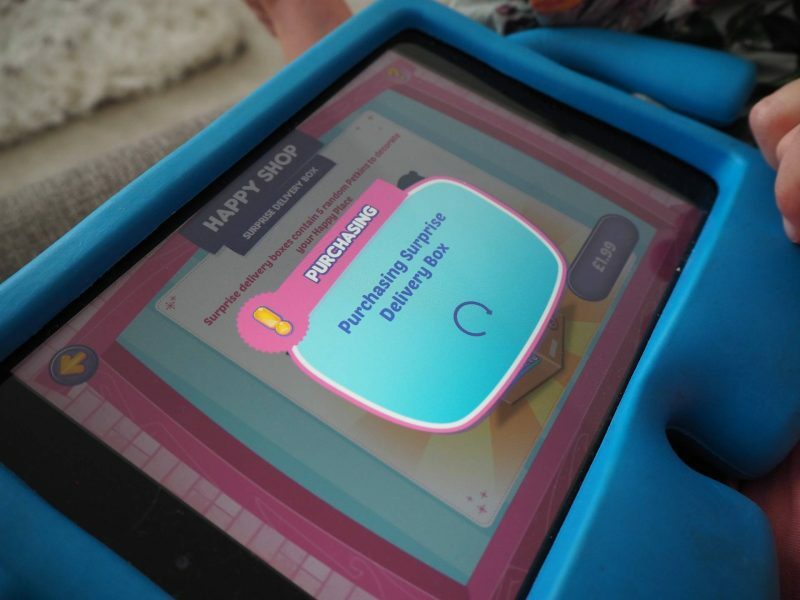 The Shopkins Happy Places App is aimed at children 5-8 years old. Alice is 5 1/2 years old and she really enjoyed it, understood what to do and hasn’t stopped asking to play it since. 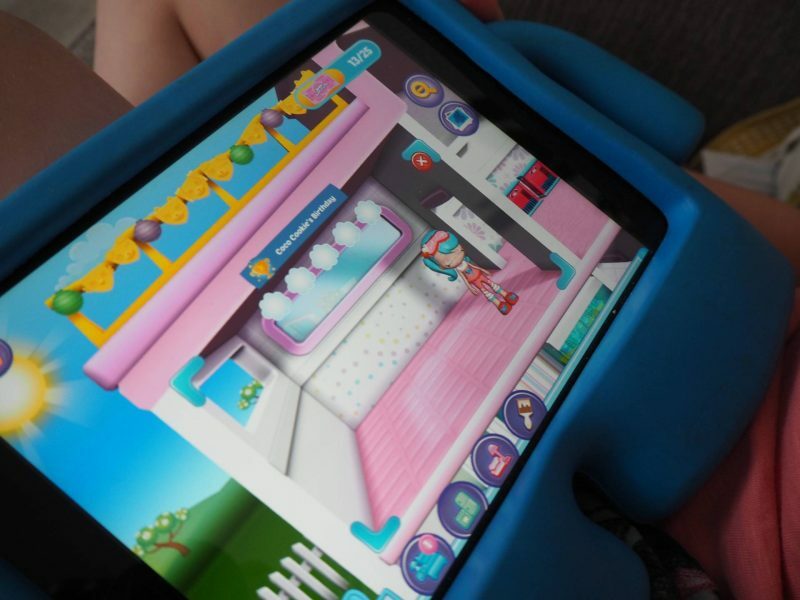 You can download Shopkins Happy Places App from the App Store, it is not currently available on Android. Disclosure: We were compensated for our time to review this app. All views, opinions and photos are my own. You had my attention with the word “free”. I am similar to you in that Piglet spends very little time using a tablet. I can count on one hand the number of times he’s used one. 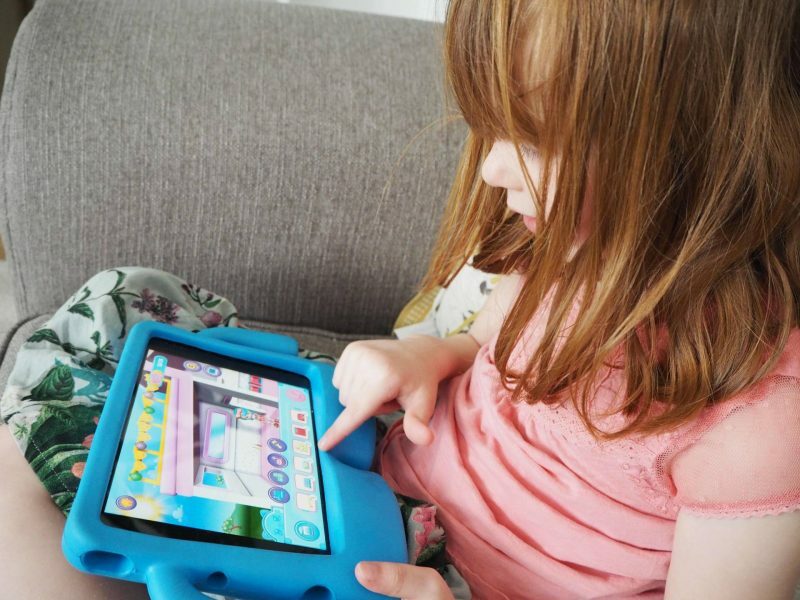 I do think the technology has a place though, and that as they get older little games like this will not only keep them busy but also be a lot of fun for them! Oh this looks fab, I shall have to wait for it to become available on Android! 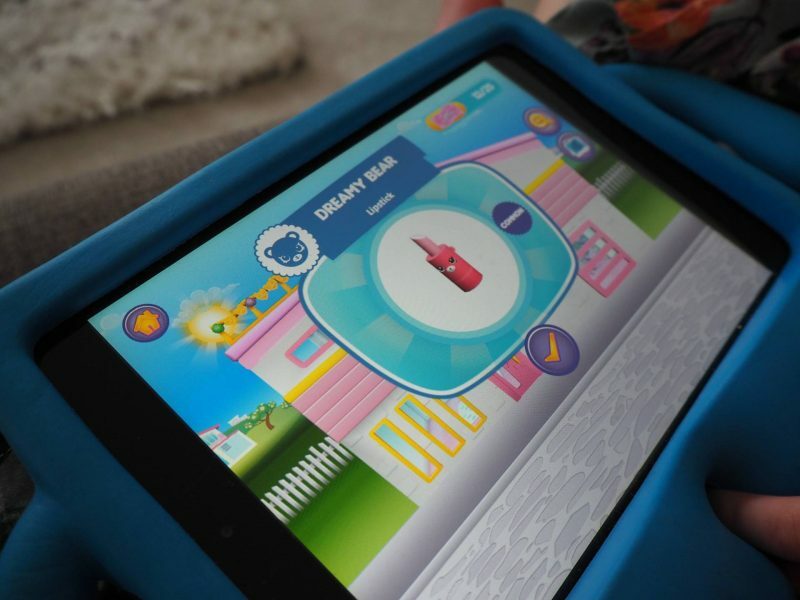 This looks great – we have actually managed to bypass Shopkins so far – I am not even sure that Zach knows what it is! Oh if my eldest catches sight of this he’ll be desperate for it. It’s great that it’s free though, I’m finding it harder and harder to find apps that aren’t paid for. Max hasn’t come across Shopkins yet! 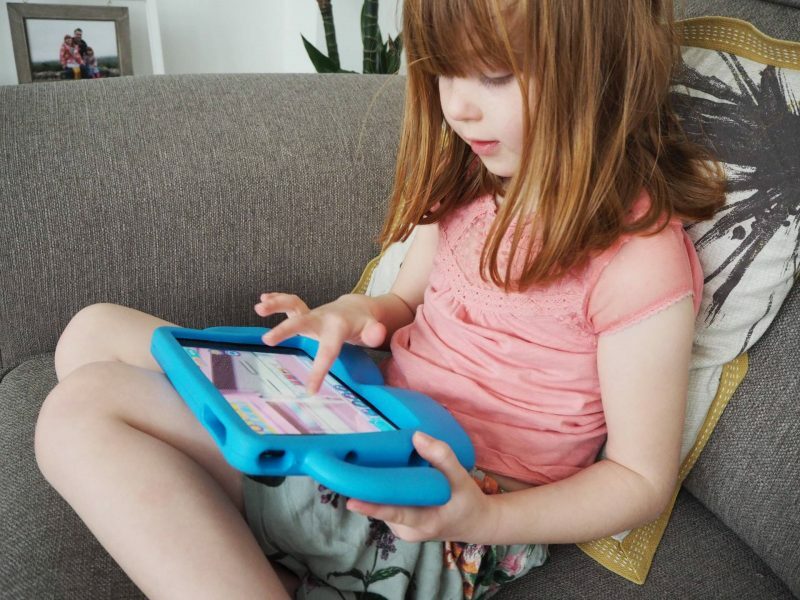 I feel the same about the tablet – we don’t give Max one to play with yet, apart from the odd restaurant trip out, but I wonder whether he’s being held back. But he’s so into technology anyway and picks things up so quickly – it’s funny how kids have such great intuition for apps like this. 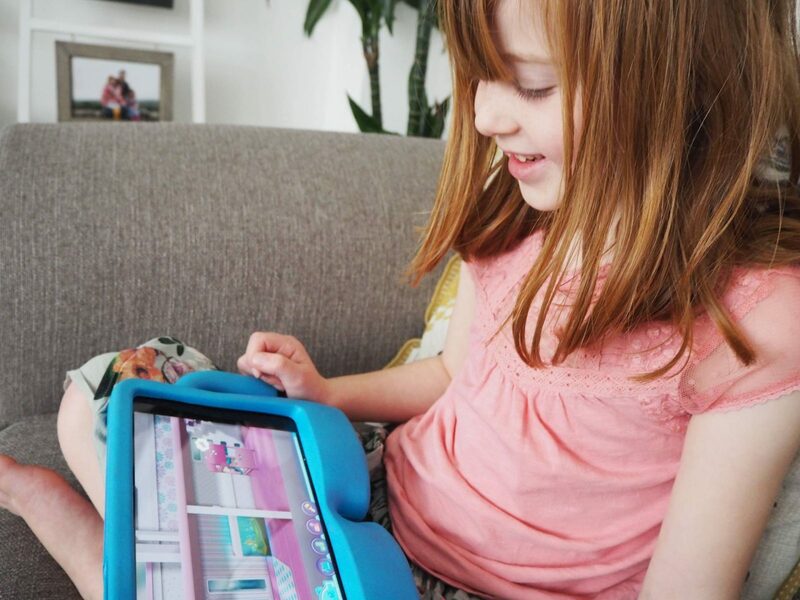 Oh dear God there’s a Shopkins app! My 5 year old does is NOT aware of this yet! I think I’m just about to make her day! We have just downloaded this too and the girls love it! 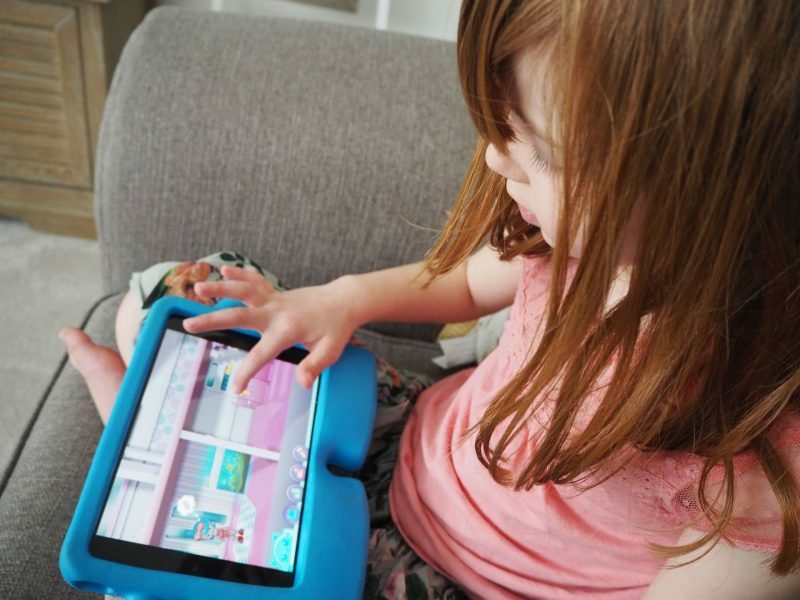 They are shopkins mad and also love an excuse to go on the iPad, so the two combined is perfect! My daughter picked some Shopkins for her birthday present. I bet she’d love this app! It’s great that the purchases require parental approval, that’s a big help. Looks like a lot of fun!